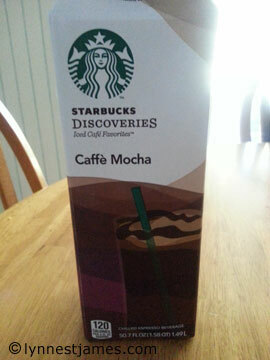 Yet another way to have #Starbucks at home! Coffee! Yup, I admit it. I crave it, dream about it, and get headaches when I don’t drink enough. I know I should cut back, but there could be so many worse things I’m addicted to. Like chocolate…well okay, let’s not go there. Yesterday I was shopping and I found something mega awesome. Starbucks has a pre-made Caffé Mocha. Seriously? Oh yeah. They also had caramel macchiato and vanilla latte flavors. I restrained myself and only bought one of these lovelies. I couldn’t wait to get home to try it, and you know what? It was simply mahhhhveloussssss! Oh yeah. Addiction mode activated! Knowing I had that container of deliciousness to assist with my work day today actually made it not so bad to get up when the alarm chirped way too early for my liking. So here I am over-caffeinated and happy as a clam or something. So what is your addiction, errr secret pleasure? I can’t possibly be the only one! Those all sound like great ideas! 🙂 Thanks for sharing, Jackie!